A: We ship from the Czech Republic, which is located in the EU. Q: Will I have to pay any customs or duty fees? A: You will not have to pay for any customs or duty fees if the order is being shipped within the EU. 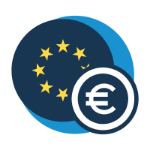 Orders shipped outside of the EU may be subject to import taxes, customs duties and fees collected by the destination country. The recipient of an international shipment may be subject to such import taxes, customs duties and fees, which are collected once a shipment reaches the recipient's country. A: All orders are shipped within 24 hours on business days after completing your payment. This only applies to products that were in stock at the time of purchase. A: Standards delivery time is 2-5 business days. We also offer Express delivery which takes 1-2 business day. 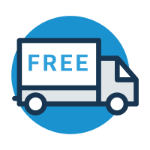 A: For EU countries (excluding Cyprus), we offer free standard shipping for orders over 150 EUR (excluding VAT). 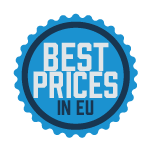 Costs of Express shipping and deliveries to non-EU countries are at extra costs and calculated in your shopping cart based on your address and amount of products. Q: Can I have a different billing and shipping address for my order? A: Yes, you can add and choose both addresses when completing your order. Q: What payment types can I use when ordering? A: We accept PayPal, Credit Card, Bitcoin and Bank Wire payments. Q: Is it possible to pay via another cryptocurrency than Bitcoin? A: Yes, we accept more than 30 altcoins including Ethereum, Litecoin, Bitcoin Cash and Dash. You can see the complete list here. Q: How can I pay via bank wire? A: Please contact us via our contact us page, and we will create your order manually. Q: If I have a VAT number can I purchase without paying for VAT? A: Yes, if you have a valid VAT number you will not be required to pay for VAT on our website. Please make sure to add your VAT number to your account address. Q: Can you provide an invoice without VAT? A: If you have a valid VAT number you will receive a final invoice without VAT with your order. Q: When will I be charged for the order? A: You PayPal or credit card account will be charged at the time of placing your order. A: For information regarding returns, please visit Shipping, Returns & Repairs page.